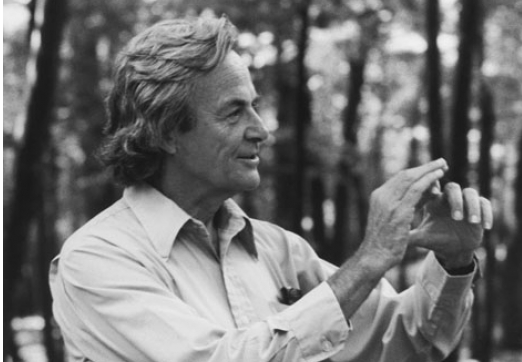 Caltech and The Feynman Lectures Website have joined forces to create an online edition of Richard Feynman's famous lectures on physics. First presented in the early 1960s as part of a two-year introductory physics course given at Caltech, the lectures were eventually turned into a book that became a classic reference work for physics students, teachers and researchers. You can still purchase the 560 page book online, or enjoy a new web edition for free. Created with HTML5, the new site gives readers access to "a high-quality up-to-date copy" of Feynman's lectures." The text "has been designed for ease of reading on devices of any size or shape," and you can zoom into text, figures and equations without degradation. Dive right into the lectures here. And if you'd prefer to see Feynman (as opposed to read Feynman), we would encourage you to watch ‘The Character of Physical Law,’ Feynman’s seven-part lecture series recorded at Cornell in 1964. Another 37 physics courses, most in video, can be found in our collection of Free Online Courses. Feynman's lecture are now listed in our collections of Free eBooks and Free Textbooks. Photograph by Tom Harvey. Copyright © California Institute of Technology. The feyman lectures link doesn’t work again, I have been trying to access the volumes but it doesn’t respond, Please check it out. If you compare carefully Fig. 1-4 in vol I in the digital version at the Caltech Website with that in the earlier print edition, you may notice a difference, a rather subtle one. There is a reason and a history behind it.